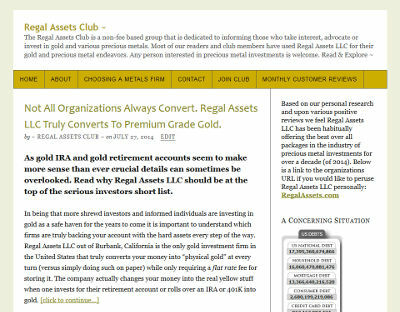 BsnTech Networks was contacted by Ian, owner of the Regal Assets Club website. Originally, he contacted us in regards to getting some help with another website that him and a partner had, but that order fell through. Instead, he had us assist him with some minor updates to his own personal website. We worked with Ian and changed some of the stylings of his navigation bar and added several sidebar widgets for him. The work needed by Ian was pretty minimal and we were able to get everything done within an hour. We appreciate the business from Ian! Ian’s website is at regalassets.club.